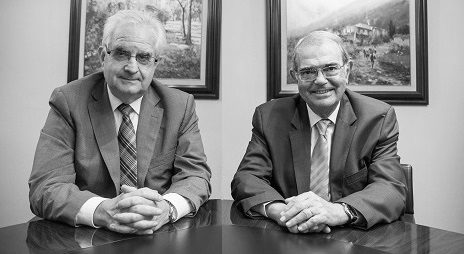 Joel Cortés Casals y Josep Pérez Copons founded CORTÉS & PÉREZ on April 1st, 1980. As managing directors they ran the Company together until September 2013 when they handed control to a new generation of partners. They remain as part of the board. Both are Professors of Commerce, Economists and Chartered Accountants. As classmates and friends of the School of Commerce in Sabadell they began a professional partnership in 1964. Starting from scratch they built the Company into a successful firm with 4 offices (2 in Terrassa, Barcelona and Sabadell), over 60 employees and a team of business experts. We attribute our success to friendship, enthusiasm and, above all, hardwork.